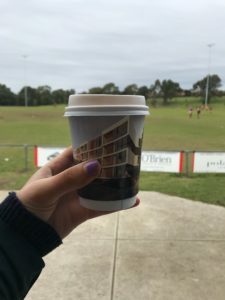 Last weekend, Polaris 3083 joined the La Trobe University’s Football Club at their 2018 Sponsors Day providing complimentary coffee to spectators at the event. Many supporters of the club and members of the local community, dropped by the event to see back to back games of the clubs senior, reserve and women’s teams. Polaris 3083 regularly engage with La Trobe University and the Football Club as part of Deal Corp’s community engagement program. The large residential and retail precinct adjoins La Trobe University providing staff and students with easy access to shops, cafes, restaurants and other amenities. Because of its convenience, many students and staff have chosen to reside at Polaris.